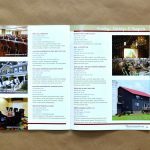 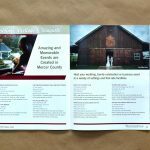 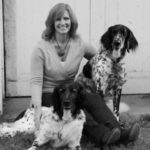 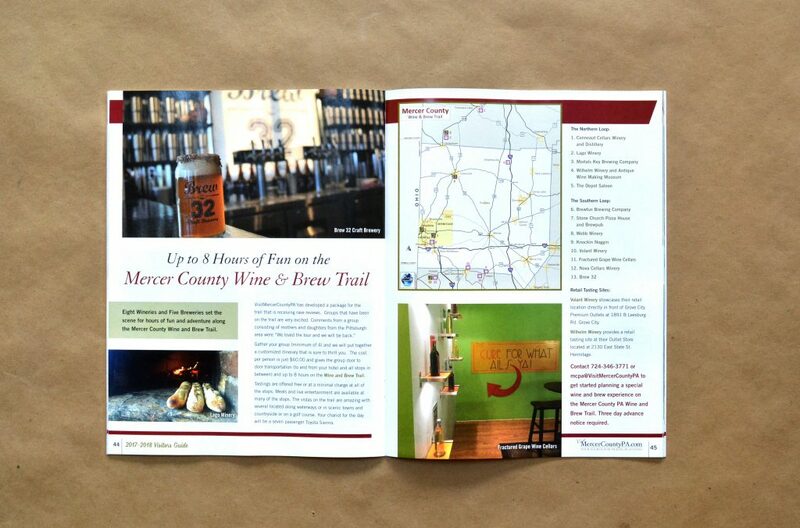 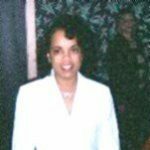 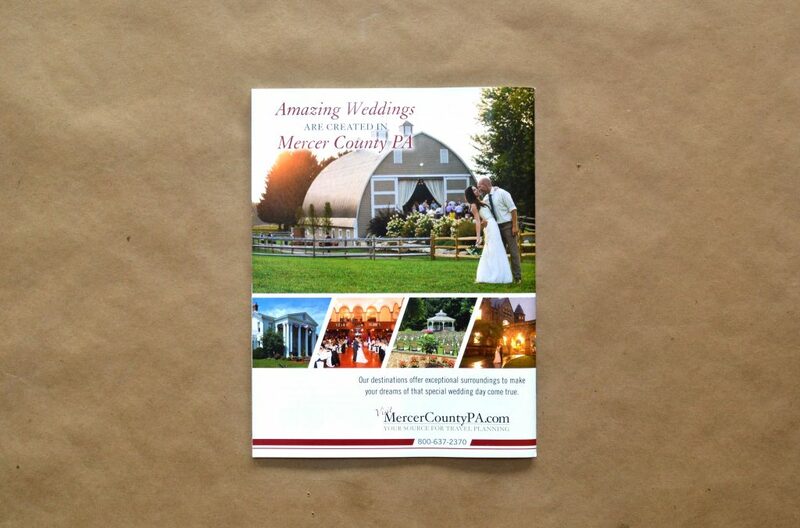 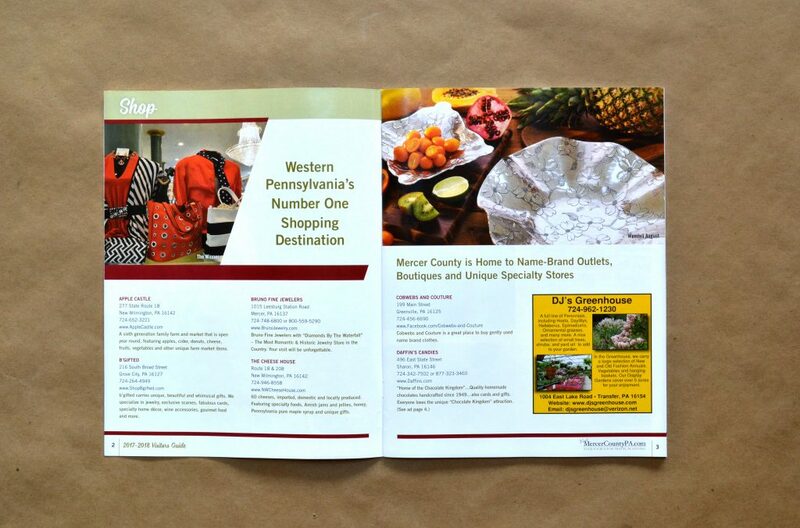 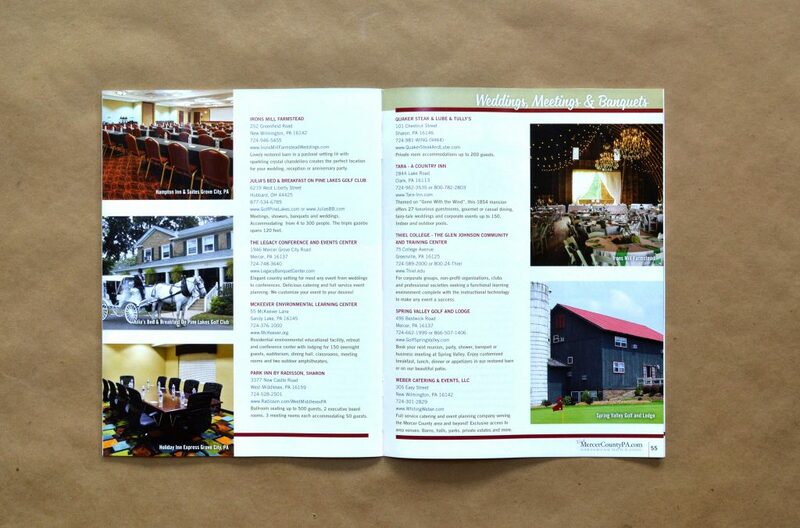 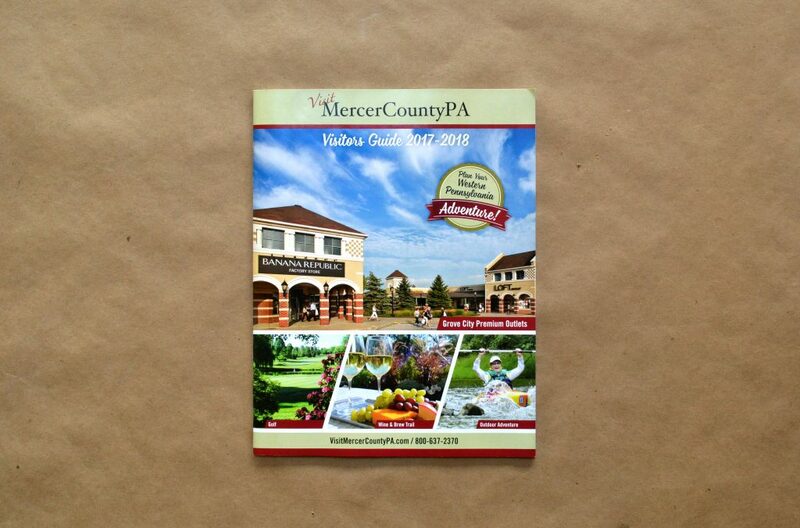 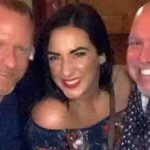 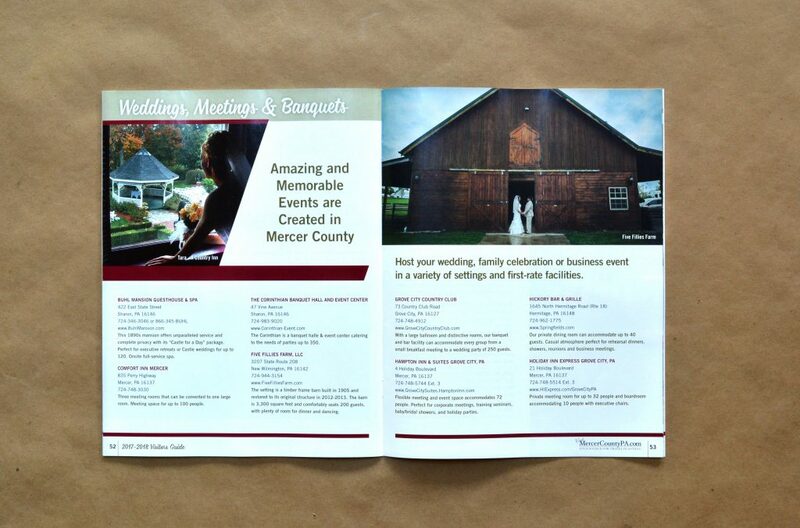 The Visit Mercer County PA Visitors Guide is the centerpiece of all of the printed literature and marketing that the tourism promotion agency for Mercer County, PA, produces. 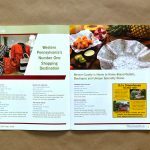 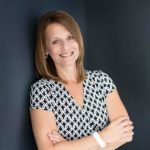 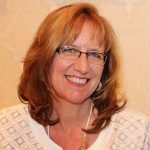 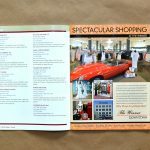 The 64-page book is revised every 18 months, and for this second edition that we produced together, the goal was to really place the spotlight on the main types of activities the area features. 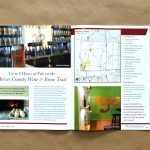 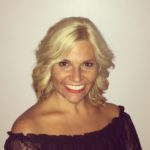 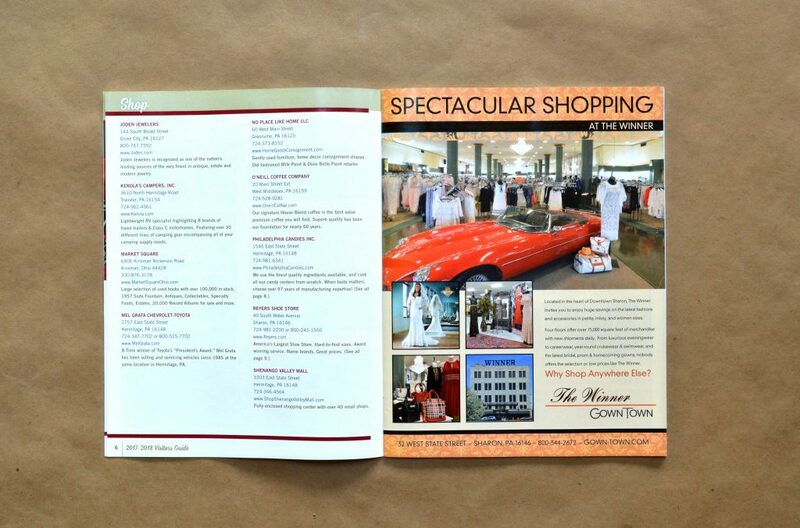 In addition to the property and attractions listings that are typically found in a Visitors Guide, this issue was designed with a series of articles highlighting unique places to go and things to do. 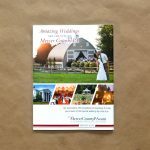 A simple yet fun design was created to showcase the carefully selected photography that is boldly featured throughout the book. 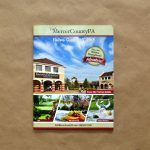 In addition to the design of the publication itself, ad design services were also provided.